You are here: Home /7th Pay Commission: Who is responsible for the delay in the implementation of 7CPC? 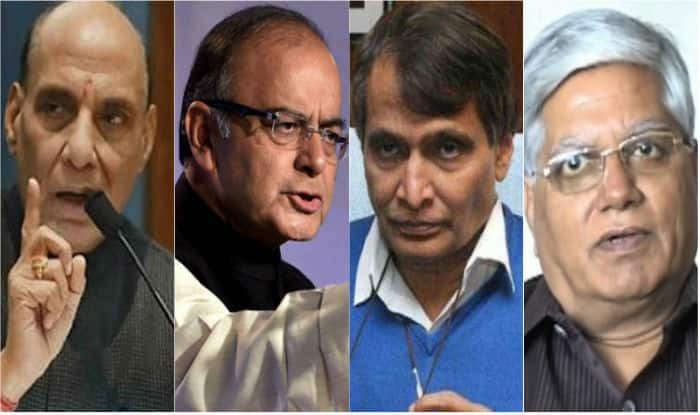 7th Pay Commission: Who is responsible for the delay in the implementation of 7CPC? Earlier this month, a report said that "Neither Prime Minister Narendra Modi nor Arun Jaitley could be held responsible for the delay in the implementation of higher allowance." New Delhi, April 8: As the financial year had already ended, and the Budget session is about to end by next week but the more than 1 lakh central government employees have not got their answers on higher allowances and pay hike under the 7th Pay Commission. The committee on allowance which was formed by the government had already failed twice to meet the deadline to submit the report and on Thursday the members of the committee had a meeting and some reports suggest that they are likely to submit its report in a week’s time. More than 43 lakh central government employees and 57 lakh pensioners are eagerly waiting for the implementation of 7th Pay Commission, especially for higher allowances. As almost a year had passed and there is no firm decision on the issue, due to which several government employees have held the committee officials responsible for the delay. If reports are to be believed, the Committee on Allowances, headed by Finance Secretary Ashok Lavasa, will submit its final reports to Arun Jaitley and once the report is submitted there are chances that final decision will be taken soon. In Thursday’s meeting, the Committee on Allowances was apprised 14 existing allowances given by Department of Posts, Ministries of Railways and Defence. The panel had sought more details on these allowances as it were left out by the 7th Pay Commission. Some reports claim that the committee has taken a final view on these 14 existing allowances. Earlier the 7CPC in its findings had recommended the abolition of 51 allowances and subsuming of 37 others out of 196 allowances.